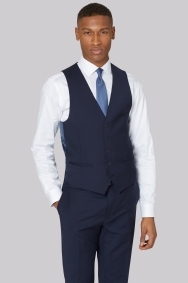 Smarten up your act with this chic and stylish DKNY waistcoat. Inspired by the energy and spirit of New York City, it’s a refined and youthful take on classic tailoring. 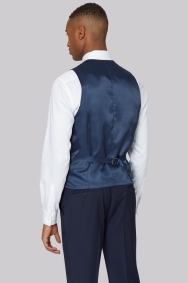 The single-breasted, five-button fastening, with adjustable strap at the rear ensures a clean finish flush against your back. Crafted in warming and refined 100% wool, it’s brilliantly versatile. It co-ordinates smartly with the matching trousers and jacket for a sophisticated three-piece suit on the most formal occasions. Alternatively, style it with a simple shirt, tobacco chinos and knit bow tie for a cool, casual wedding. Good value to price. Recommended. Toimitus oli arvioitua nopeampi. Tuote vastasi odotusta. Good quality, price and fit. Lovely suit, just a shame I only got 2 thirds of it. Perfect quality. Amazing service and fantastic value for money. All in all an outstanding experience!!! Smart slim fit good for ladies wear and petite frames. Wrong suit! Tailor could not alter them as the suit was so large. YOU WOULD NOT ACCEPT A RETURN!